Licensed medical marijuana producers have been warned to stop using the postal system ahead of a potential Canada Post strike or lockout in early July. Licensed medical marijuana producers have been warned to stop using mail delivery ahead of a potential Canada Post strike or lockout in early July. The postal service says it started telling producers on Friday that if a strike or lockout goes ahead on July 2, it won't guarantee the delivery of patients' prescriptions. 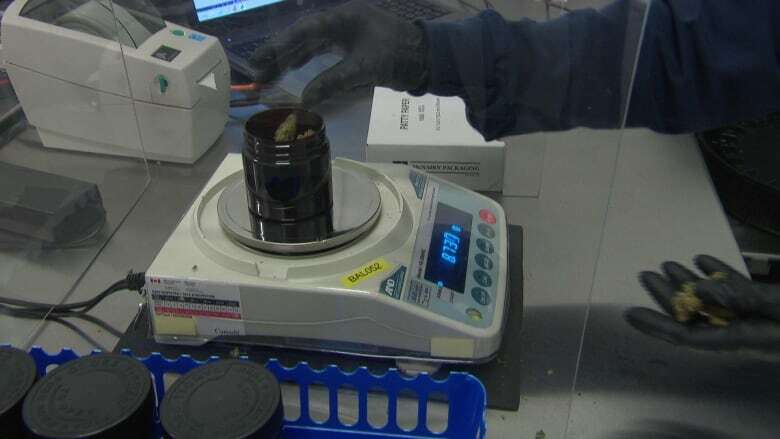 That warning has producers throwing together contingency plans so the increasing number of medical marijuana patients continue to get their prescriptions on time. Two years ago, Health Canada changed the rules on who can provide medical marijuana, allowing only licensed producers to offer marijuana products to customers by mail exclusively. As a result, most producers have been using Canada Post. "We are a good and getting-better-every-day customer of Canada Post," said Bruce Linton, CEO and founder of Canopy Growth Corp., which operates the Tweed marijuana production facility in Smiths Falls, Ont. "And so it is kind of unfortunate and ridiculous that this [postal dispute] will have them not be able to service a market that's actually growing for them." Canada Post and the Canadian Union of Postal Workers (CUPW) have been in contract negotiations since late 2015 to reach a new agreement for about 50,000 workers. Management will be in a position to lock out workers by July 2, and both sides have said there's been little progress at the negotiating table. CUPW spokeswoman Suzie Moore said last week that the key issues in the dispute are wage parity between city and rural postal workers and the restoration of door-to-door mail delivery. The medical marijuana industry, Linton said, has come to rely heavily on the mail, sending tens of thousands of packages through the postal system each month. The number of customers also continues to grow at a rate of 20 to 50 per cent each month, according to Linton, who said his company grew from $2 million in sales in 2015 to more than $12 million this year. There are close to 75,000 medical marijuana users in Canada as of June 2016, he said. 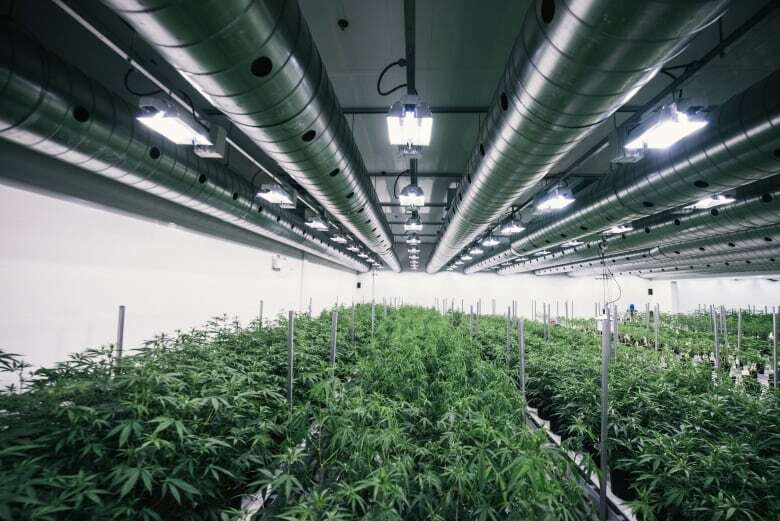 Tweed claims to be the largest medical marijuana producer in Canada, but its rate of growth is being replicated at some 32 other licensed medical marijuana producers in the country, Linton said — all of which use mail order. Canada Post is the preferred delivery mechanism because it can reach even the most remote communities, Linton said. 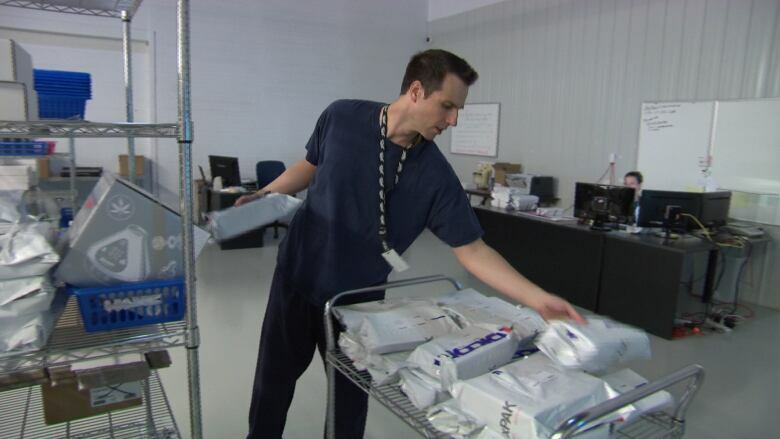 With the possible postal service disruption, however, the backup plan involves using multiple couriers to provide the same service to customers, but some people could still face delays. "There's a reason why it's plan B," Linton said. Many of the medical marijuana producers CBC contacted agreed there could be challenges if they have to rely on other delivery services. "There are some patients that will be particularly affected," said Robyn Rabinovitch of CannTrust, a federally licensed medical marijuana producer based in Vaughan, Ont. CannTrust will begin using Purolator as of Monday, said Rabinovitch, but it does not deliver to P.O. box customers. While there could be increased shipping costs for producers, said Linton, in the short term, neither Tweed nor CannTrust has plans to pass those costs along to customers. Linton said Tweed also plans to add more customer service staff to help clients. One medical marijuana user contacted by CBC News said she's concerned about the prescription she has to renew this week. "I guess we'll have to wait and see how the delivery system will be," said Ming, who didn't want to use her last name to protect her privacy. "Will patients be without medication for a period of time? It's kind of scary." Ming said some users are talking about visiting unlicensed dispensaries if they face delays. Chuck Rifici, chairman of National Access Cannabis, which helps patients negotiate the Canadian medical marijuana landscape, said a strike or lockout would expose a serious flaw in a system that depends so exclusively on the postal service. "It really highlights how I don't think it really makes sense to have a mail order model," said Rifici, also CEO of Nesta Holdings, a private equity firm that specializes in investing in the cannabis industry. National Access Cannabis wants to see the federal government increase access through regulated store-front dispensaries, Rifici said. "The patients and cannabis advocates have been clamouring for increased access," said Rifici, noting that raids in Toronto on dispensaries and the decision in Vancouver to regulate dispensaries speak to that need. Canada Post spokesman Jon Hamilton said the service has been warning customers since April that, if talks fail following negotiations with a federal conciliator, there could be a strike or lockout by July 2. Hamilton said that if a deal isn't struck before then, orders made after Monday with Canada Post could get stuck in a warehouse.